As more and more people describe themselves as ‘spiritual’ rather than religious, experts expect eco-friendly pagan movements will continue to grow. Already there are perhaps a million pagans in the United States, an equal number in Canada, and twice as many in Europe. Although it may be a long time (if ever) before pagans reclaim their Yule from Christmas or their Samhain from Halloween, it is nonetheless worthwhile to explore these ancient religious traditions. For those interested in participating in the environmentally aware celebrations, a major pagan holiday is on April 30/May 1. 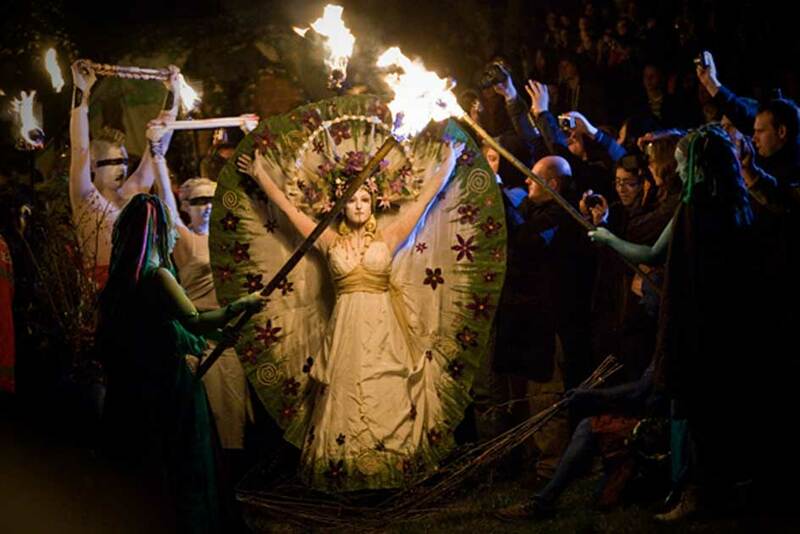 Beltane (also known as Celtic May Day) celebrates the coming of the summer and the fertility of the coming year. The Latin word pagan means “nonparticipant, one excluded from a more distinguished, professional group” and it came in vogue during the 4th century, around the same time that Christianity was gaining legitimacy. The word is often used pejoratively and implies some sort of inferiority. Indeed, today we know little about historical paganism because the ancient/ medieval scholars rarely thought the customs fit to be written down. In modern times, paganism is still the catchall term for believers outside of the major religious faiths, but it is also qualified as modern paganism, contemporary paganism, or neo-paganism. It describes groups that claim to be derived from ancient pagan beliefs and includes such religious movements as Wicca, Neo-Druidism, and the Goddess Movement. Note that ‘paganism’ is used to describe Western belief systems (as opposed to African, Asian, or indigenous traditions) that share characteristics such as being nature-focused, being polytheistic, and honoring the female divine principal (as opposed to the male divine principal of the Abrahamic religions). Exact figures of modern pagans are hard to come by as there is still much a negative stigma attached to such beliefs and some fear being persecuted. The pagan cosmology is cyclical. Much like Eastern religions, all things are in a perpetual cycle of birth, death, and rebirth. Paganism ties this cycle to the season’s annual progression as well as the waxing and waning strength of the Sun. Pagan holidays are aligned with days that mark key points in the annual cycle, notably the beginning and peak of the four seasons. There are eight widely celebrated holidays throughout the pagan traditions. Each is usually celebrated with a community festival and seasonally appropriate rituals. These festivals can be depicted visually with the Wheel of the Year symbol. This eightfold Wheel is a modern innovation and looks like an eight-armed sun cross. Each segment of the Wheel represents about six or seven weeks. Four points are based on the solar calendar: The Winter and Summer Solstice and the Spring and Autumn Equinox. The other four points are based on Celtic festivals and are often called by their Celtic names: Imbolc, Beltane, Lughnasadh, and Samhain. Note that all eight holidays go by a wide variety of names, depending on where you are and what tradition you are considering. “The Norsemen of Northern Europe saw the sun as a wheel that changed the seasons. It was from the word for this wheel, houl, that the word yule is thought to have come.” (BBC, 2006). Like many other ancient peoples, the Norse celebrated this day with bonfires, storytelling, and feasting. For the Romans, it was the peak of the weeklong Saturnalia festivities, where houses were decorated with greenery, candles were lit, and presents were exchanged. The Celtic Druids burned a Yule log during this time in order to banish the darkness and any evil spirits that may accompany it. In all cases, the day marks the death of the Sun/ the rebirth of the sun and it was celebrated more domestically than the Summer Solstice. Imbolc comes at the first signs of spring. At this time, the supply of food from the previous harvest is running low. This holiday is of great importance for not only a successful new farming season but also to ensure the earth supplies enough food for people to make it until the next harvest. The Vernal Equinox celebrates the renewal of life on Earth with the coming of spring. It is a time of rejuvenation and child-like wonder at the glories of the Earth. The day coincides with festivals for Aphrodite, Hathor, Ostara, and Easter. The Celtic word ‘Beltane’ means ‘fires of Bel’ and refers to the ancient Celtic deity. This spring fire festival is meant to celebrate the coming of the summer as well as the fertility of plants and animals of the coming year. More than any other pagan holiday, fire plays a key role in Beltane as it is believed to cleanse and revitalize. Cattle are paraded between two bonfires to ensure strength and fertility for the herd. For similar reasons, some people opt to jump over a flame to increase “fertility,” which in this case may be physical or mental/creative fertility. 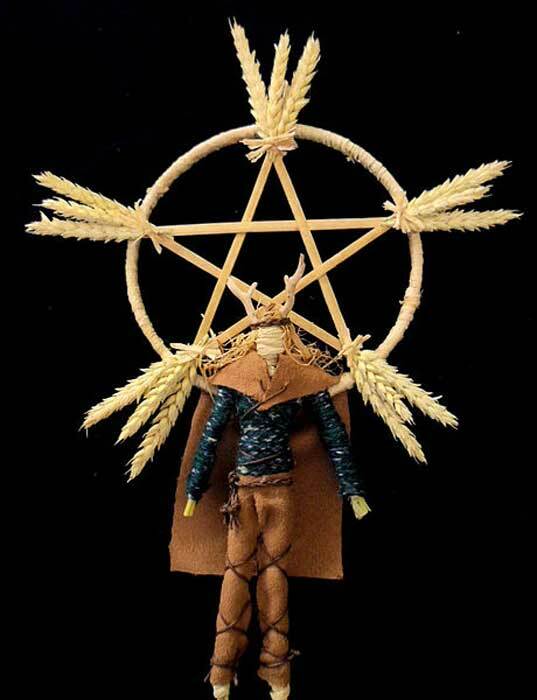 Much of Beltane’s rituals revolve around the needs of farming communities who are looking forward to a fruitful year ahead. It is also a time when many marriages take place or are arranged. Similar to the Winter Solstice, this holiday is about celebrating the awesome power of the Sun. But whereas Yule is about missing the Sun and wishing it would come back, Litha is about honoring the Sun while it is at the peak of its glory. Bonfires and feasting were common ways to celebrate and this festival was much more public and communally celebrated than its winter counterpart. On this day, the Chinese celebrated Li, the Goddess of Light, and the Christians celebrated the feast of St. John the Baptist. This festival traditionally marks the first day of the harvest. It commemorates the death of Lugh, the Celtic god of light, the son of the Sun. Lugh is the medium through which the power of the sun can enter the grain and ripen it. “In the mythological story of the Wheel of the Year, the Sun God transfers his power into the grain, and is sacrificed when the grain is harvested. So, we have a dying, self-sacrificing and resurrecting god of the harvest, who dies for his people so that they may live.” (The White Goddess, 2017). The harvest continues until Samhain. This is the festival for the harvest season. It is a time for reflection of the past summer and preparation for the coming winter. It is a time when the waning power of the sun is obvious, however, it is still important to give thanks for the food obtained in the harvest or else next year might not be so abundant. This festival marks the end of the harvest and, thus, the end of the summer and the beginning of winter. It is also the festival for the dead. This day is supposed to be the point of time when the veil separating the world of mortals and the world of spirits is at its thinnest, enabling the souls of the dead, witches, and faeries of all sorts to mingle with living people. But this doesn’t necessarily mean it is a scary or mournful time. Loved ones who have died are invited to join in the end of harvest feasts and are asked to watch over the newest members of the community (Samhain is also the time when all those born during the past year are officially welcomed into the community). Some pagans believe that this day is the optimal time for magic. In particular, the Druids believe that the thinness of the veil can allow them to see into the future. A very good synopsis of Pagan holidays(HolyDays) I often find myself explaining these days to those who are curious or have misconceptions regarding what those celebrations are about.